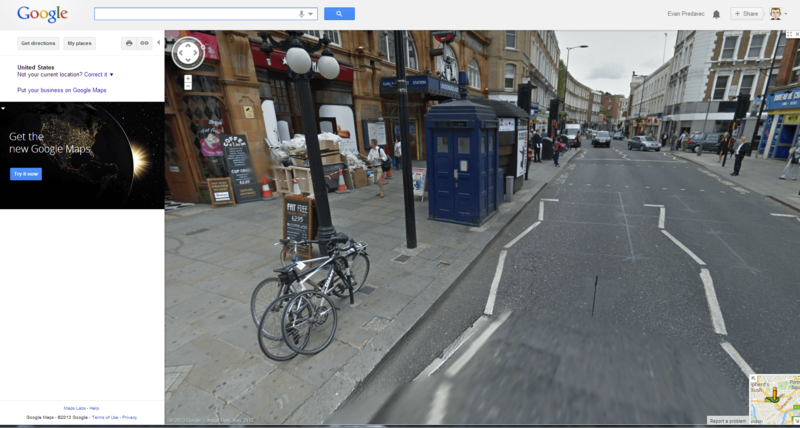 If you go to Earl’s Court Rd in London in Google Street View, you’ll find the TARDIS sitting unassumingly outside the Tube Station. Click on the double-arrows on the road and you get transported into the inside of the TARDIS and can take a look around. That’s just cool. It’s more than worth noting that this only seems to work in Street View classic, not if you’re using the new version. To switch back to the Classic View just select it from the menu under the cog at the top right of your screen. Thank you Google for a sense of humour.